Videos recorded using mobile devices contain a lot of metadata. One piece of such data is the rotation metadata. 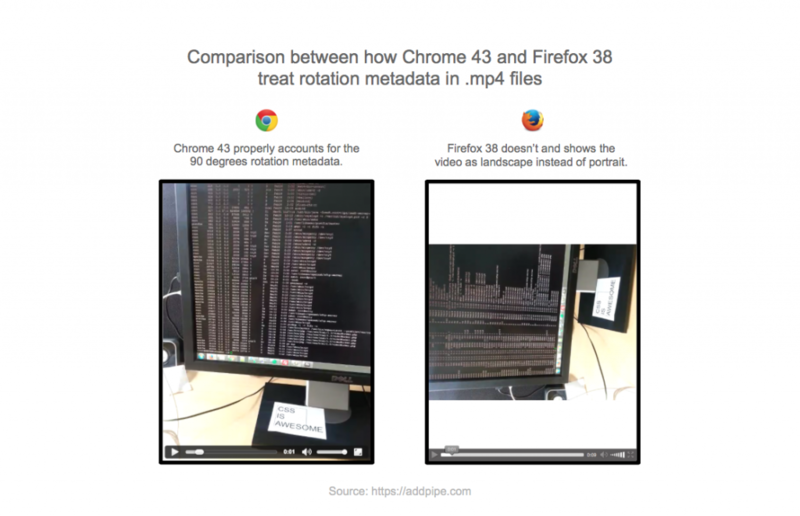 This data is used by browsers such as Chrome and Safari and by video players like VLC and QuickTime to display the video the way it was shot: portrait or landscape. 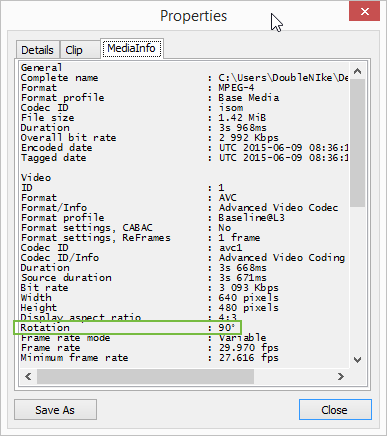 In the image above we show how the Firefox HTML5 video player does not take into account the video’s rotation metadata and shows the video as landscape instead of portrait. The video played above is an .mp4 file recorded in portrait mode with a Samsung Galaxy S3. It’s rotation metadata value is 90.